University of Southern California is the first university, in the country, to hire a canine as a full-time facility dog. 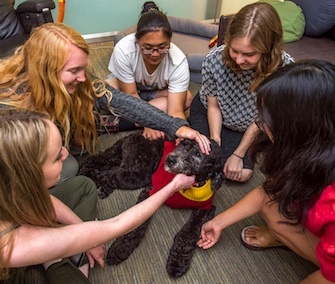 USC hired a 2-year-old Goldendoodle, Professor Beauregard Tirebiter, whose goal is to provide a sense of community and to be a therapeutic companion for students. He holds regular office hours on the second floor of the student health center.